Looking For An Auto Repair Shop In the Lawrence, KS Area That Cares? Lawrence Automotive Diagnostics opened its doors in 1994 with the goal of being an auto repair shop that truly cares. We treat you like our family and your vehicle as if it were our own. From the very beginning, we embraced the power of advanced computer diagnostics as both a proactive and reactive means of determining the fix required for safe driving. If you are looking for a mechanic who will get it right every time, look no further! Stop by our Lawrence, KS shop the next time you are in need of an auto repair. If you value staying on top of your factory-scheduled maintenance, you need a reliable automotive repair shop. Lawrence Automotive Diagnostics is that shop! Our ASE certified technicians can provide all of your oil changes and required preventative maintenance for your vehicle. We firmly believe in the importance of proactive care to extend the lifespan of your vehicle and keep your family safe on the road. Reach out any time you are due for service, or when things don’t sound or feel right. Most of our work is backed by our 2 year/24,000-mile warranty. No run of the mill computers here! Computer diagnostics have come a long way since we opened our shop in 1994. At the time, our diagnostics specialty was considered cutting-edge technology. Utilizing diagnostics is now far more mainstream, but is still a service we specialize in. As the vehicles we drive become more technologically advanced, so does the need for specialty diagnostic tools. We invest in the best, keeping you and your family safe on the road. Why Choose Lawrence Automotive Diagnostics? 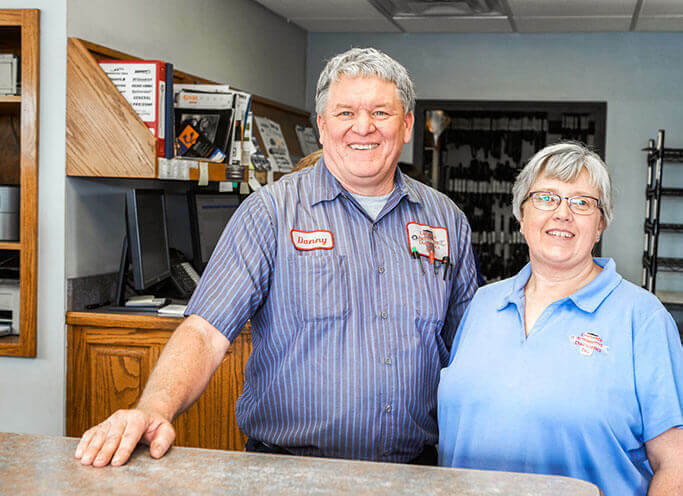 Lawrence Automotive Diagnostics is a family-owned business that treats you like family! Our service advisors are specially trained to guide you through the maintenance and repair process so that you get the most value from your vehicle. Digital Preventative Maintenance Inspections. We keep you informed about your vehicle. We’ll alert you to which maintenance services are needed now, and which will be needed in the future. We want to help keep you safe on the road and extend the life of your vehicle. We use high-quality parts and stand behind our work with a 24-month, 24,000-mile parts and labor warranty. *Only for minor services including oil changes and tire repairs.